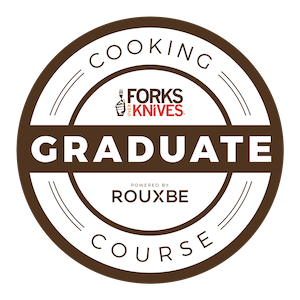 Experience hands-on, highly personalized plant-based culinary instruction, focused specifically on your areas of interest. Learn practical strategies, customized techniques, and timesaving tips. Together, we’ll prepare three simple, healthy, and delicious vegan recipes. You’ll take home the recipes for each dish we prepare, and of course, you’ll sample all of our delicious plant-based creations, too! Schedule your very own two-hour vegan cooking class – or invite a couple of your favorite friends or family members, for extra vegan fun! Not in the Ann Arbor area? No worries! Let’s cook together remotely (connecting through Skype, Zoom, or FaceTime)! Several days before our class, you’ll receive a list of ingredients for one, two, or three recipes (your choice). During class, I’ll be virtually by your side, providing step-by-step guidance and answering your questions as we prepare each dish together! Just email me for rates and details. “Thank you, Vicki, for such a wonderful class! We were looking to expand our options for vegan meals and you showed us how to create dishes that were absolutely delicious – and healthy. Your private cooking session was very hands-on, and each meal was well thought out. Thanks again for such a wonderful experience!” – Jeff and Jamie W.
“My husband and I enjoyed an evening cooking with Vicki, and can’t wait to make the spinach burgers at home! Vicki’s wealth of knowledge and willingness to share it are inviting and uplifting. She inspired me to begin cooking again, and made it all seem so effortless. 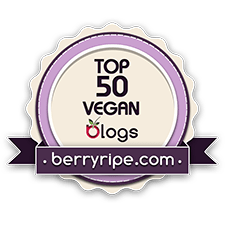 This is the help I needed on my sometimes lackluster vegan journey, and it was a great experience that we thoroughly enjoyed!” – Leslie D.
“Wonderful class! Vicki is so knowledgeable, and she explains everything really well. Her presentation is organized and informative. Plus delicious, healthy recipes! Thank you again!” – Kathleen B. Discover how easy adding more plant-based options to our menus can be with helpful tips about ingredients, clever kitchen shortcuts, and simple strategies to make healthy food a daily habit. Explore the many benefits of a whole-foods plant-based diet, as we separate vegan facts from fiction. Sample every simple, healthy, delicious recipe we’ll make together. Contact me to plan a seasonal or theme-based vegan cooking demonstration for your business, organization, group, or special event.